Indiagenericmeds.com was an internet drugstore seized by the US government thru its Operation In Our Sites – Project TransAtlantic VIII. This international agency cracks down illegal websites known for offering counterfeit products. In the case of Indiagenericmeds.com, it was shut down for allegedly selling counterfeit medicines. When a website is seized by the US government and the Europol, the chance of getting information about the said website is slim. The seized domain will no longer be available and it will redirect you to the seizure message from Europol. The seizure message looks exactly like the one above (see the image of the website above). The worst part is, even saved images on web archive were changed to this seizure banner. Why Would the US Government Target Indiagenericmeds.com? Indiagenericmeds.com was seized because they violated an online pharmacy rule and legislation. Based on the seizure notice, it says that the site was caught selling counterfeit products – since it is an online pharmacy, we assume they were selling counterfeit medicines. Since we are curious as to why this online pharmacy was suddenly seized, we searched for possible reasons why the US government and its affiliated international agencies noticed Indiagenericmeds.com. A quick search on the website of Indiagenericmeds led us to their own testimonial page. Here are some of the reviews shared by their customers. Robert from Canada wrote that he finally found the online pharmacy to trust with indiagenericmeds.com. Robert said that he used different stores in the past and found the effective and fast service of this e-store as a top notch. The second review was from Catherine who was thankful for receiving her order after a week. 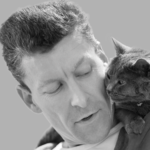 She added that the handling was very remarkable and she was just happy with the experience. For the last review, we found the experience shared by Peter who mentioned how satisfied he was with the service and product he received. He added that with this e-store, he can now order his medicine anytime, anywhere. These are just three of the positive reviews that we found on the testimonial page of indiagenericmeds.com. These positive reviews can be found only on the shop’s own site which means that these can be easily faked as they are owned by the operators. We are not able to identify the close date of Indiagenericmeds.com as the seizure banner from Europol and HSI did not indicate when they seized it or why they are seizing it in the first place. The only information provided by the agency was that they are closing it due to intellectual property rights violation. Regardless, we are unable to retrieve any 2018 customer reviews for this e-store. No coupon codes were associated with Indiagenericmeds.com. We also tried to search for promotions or special offers that this e-dispensary might have released or used to attract customers during their run but we found none as well. 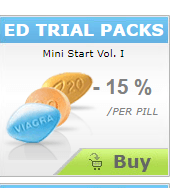 What they had was a promotion for ED trial packs that give customers a discount of up to 15% per tablet. 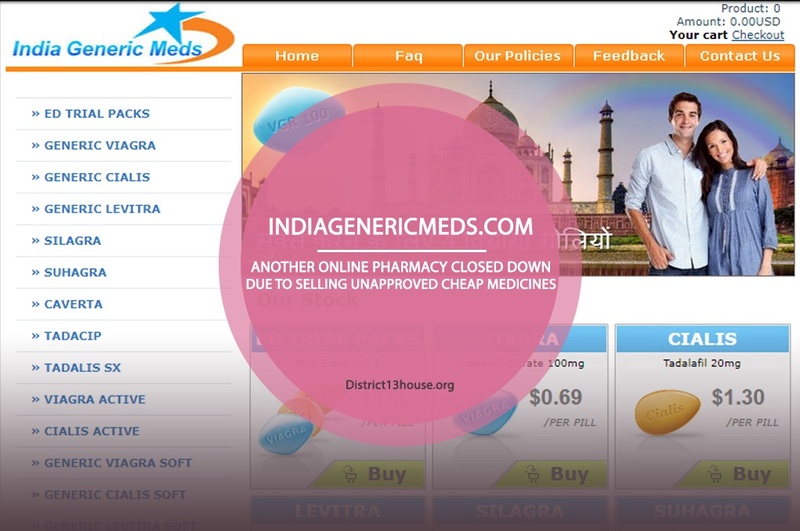 Indiagenericmeds.com was an internet drugstore whose operation suddenly stopped after being seized by the Operation In Our Sites – Project TransAtlantic VIII. It means that it was suspected of intellectual property rights violation and selling of counterfeit medicines in the US and in some European countries. It was not clear if any of the owners of this website was indicted nor if the US government had proven that, they do sell counterfeit medicines. For a credible provider, consult our List of Reviewed Pharmacies.